In the two previous posts I discussed the concept of branding a service delivery process and some of the benefits of pursuing this approach. Then I offered some real-life examples of effective service and discovery process brands. 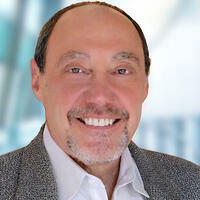 In this final installment, I will present steps to guide you as you create your own service process brand. In the simplest terms, it means standardizing and naming an existing process, then promoting it to customers. Most companies have a process but they haven’t named or productized it. They treat it generically calling it "our discovery process or our project management process." Branding a process even if it is identical to the processes used by competitors, is an opportunity to differentiate the company, adding value that can be captured as additional revenue. Many entrepreneurs don’t exceed $5 mm in revenue because they can’t step back and develop repeatable processes to scale the business. Standardizing and branding operational procedures makes the business scalable by giving employees a roadmap. You already have a service or discovery process. You just need to standardize and codify it. You can give it a name and promote it in your marketing media. You can train employees to follow the standardized procedures and help them understand their role. There is nothing holding you back, and the results can be remarkable. 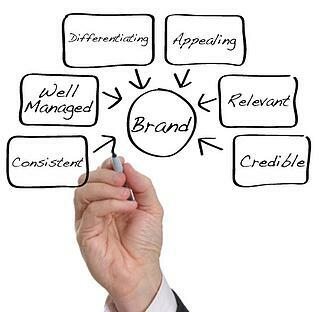 The branded and standardized process will add value to your offering and make the business scalable. As a first step to creating your service brand, take some time to better understand your company, customers and competitors. You may want to start with an actionable SWOT analysis (strengths, weaknesses, opportunities and threats). This is precisely the exercise that lead to the development of the Windward Way. Why does the customer need or want our company? Who are our most profitable customers? What do they have in common? What customer needs or wants are not being met currently? What drives their economic engines? What are they known for (in the eyes of the customers)? What is our organization passionate about? What are we particularly good at? Decide which market segments you want to appeal to, and which features, functions, and benefits of the service are most important to the customer. Then, identify the options and choices the customer will make during the process. To develop unique positioning for your service brand, consider the different ways you market and sell to key buyers—how they buy, the reasons they buy, and the way in which you might reach them. Then, brainstorm a unique brand name and/or tag line that communicates that the service or discovery process will address their needs. As you refine your brand, consider the essential brand attributes of differentiation, appeal, relevance, credibility, consistency and emotional connection. Once you’ve decided what your service brand will stand for, you need to carry it through by planning the resources you will need to deliver what you promise, the tactics you will use to promote it, and how you will measure success. Consider the cost of the branding effort, who will execute it and how you will train employees to support the strategy and follow new procedures. Ask how you will communicate the brand in your look and in both traditional and digital media. Then, determine how it will be promoted. Implement procedures and systems to measure improvements in process effectiveness, customer satisfaction and sales. These steps are explained in greater detail in the just released book, “The Growth Gears" by Art Saxby and Pete Hayes, two Chief Outsiders principals. There you have it. 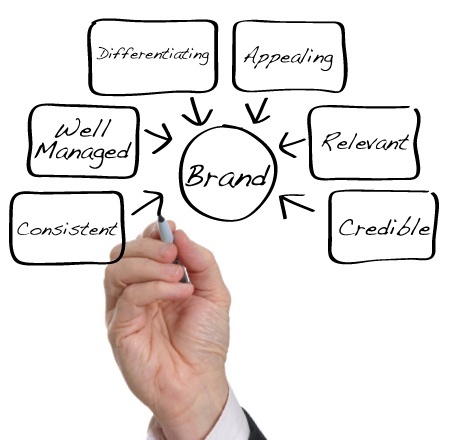 Branding a service or discovery process is a great opportunity to differentiate your company. An effective brand will add value to your service that can be recovered as additional revenue. And, standardizing the process to support the brand pays dividends in increased efficiency and effectiveness. To maximize the effectiveness of your service branding effort, attend a Chief Outsiders Brand Strategy Workshop or engage one of our excellent CMOs.